An American friend was in town and planning a trip to Salisbury to take in the stones and the Cathedral. A perfect opportunity for me leave the hustle and bustle (not to mention the pollution) of London and take in one of the ancient wonders of the world. 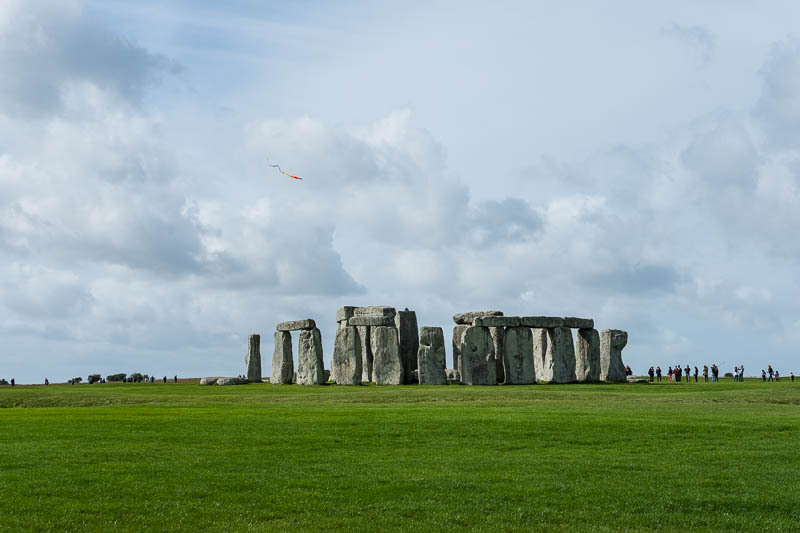 The prehistoric monument that is Stonehenge has drawn people for centuries. How did they get those stones there from such great distances. It is believed some of the stones came from Wales. Imagine trying to transport a large rock along that route in the 21st century with all the technology we have now. Beggars belief trying to work out how they did it before they had invented the wheel. We do know that the stones are perfectly aligned for sunrise on summer solstice and sunset for winter solstice. A pretty ambitious clock if you ask me. There are those who believe it was a temple. If this was the case then why pick such a bleak spot? Surely they would want somewhere pleasant to pay homage to their gods rather than a place you need to wear bearskins in the middle of summer. I did come away thinking those engineers of yesteryear could teach us a lot now. Can you name a single building of the modern world that could potentially still be standing in 5,000 years? Great photo! Stonehenge is amazing, iconic (cliche, sorry) and a must visit. But I do think that Avebury, just up the road, is more betterer - albeit perhaps less perfect. Also amazing to think that there are about 1,300 stone circles in Britain; our ancestors were certainly motivated! I love Stonehenge, it is a magical place. There is a piece in the paper today about the great distances the ancient people travelled to it. Great photo! I would love to see it up close sometime. I would love to see it someday- as well as the other prehistoric sites scattered around the British isles. We think we're so advanced, and yet the question of how those people built places like that baffles us. It's a good many years ago that I went to Stonehenge - I like that photo. I hope your American friend enjoyed the visit. They are good for sitting against while drinking scrumpy (those were the days, the sixties I mean!). What a splendid day we had walking around this great historic mystery. Well, in spite of the bitter wind. It's always a great experience to visit this place and I'm glad you were there to enjoy it with me. I remember visiting Stonehenge before it was fenced off. I was too young to appreciate how special it was to be able to touch the stones. It is a fascinating place, isn't it? Many questions about it and how it was engineered and built so long ago. Similar questions as those about the pyramids.